I write books that help self-employed people and people setting up and running small businesses to work out what to do first and what to do next. I write from my own experiences, using lots of examples from my own successful business life, and my books are all jargon-free, approachable and friendly. Most importantly, if you buy the book, you get the information that’s promised. There’s no requirement to buy a course or pay for additional materials. Note: my books are written under my maiden name, Liz Broomfield. You can find out lots more about my books, including reviews from many happy readers, over at the dedicated books website. Click on the links below to navigate to the book that interests you. There you can find more information about the book, including links for buying it in ebook and print (where available). You can also visit my author pages in the main online stores to see reviews and click to order – Amazon.co.uk Amazon.com Smashwords (search Liz Broomfield in your local Amazon store) Happy reading! “How I Survived my First Year of Full-Time Self-Employment: Going it Alone at 40” – help and advice on setting up your new business and twithout too much risk or anxiety. LI share exactly how I did it in a diary format which readers have found friendly and interesting – and you don’t need to buy any courses or additional resources to get the full value out of this book. Click on the book cover image to find out more, including where you can buy print and e-book editions of this book. “Running a Successful Business after the Start-up Phase or, Who are you Calling Mature?” – also useful for those new to business, if you want to refine your customer base, redress your work-life balance and think about add-ons like social media networking and blogging this book is for you, sharing real-life examples showing exactly how I’ve built a happy self-employed life for myself. Click on the book cover image to find out more, including where you can buy print and e-book editions of this book. The business OMNIBUS “Your Guide to Starting and Building your Business” – why not save money on buying the above two books separately with this e-only guide to setting up and maintaining a successful and balanced business, which includes the text of both books in full, put together in a special omnibus edition. I do like to provide value to my readers, and this has everything from both of the two books. It’s downloadable in all of the different e-book formats or as a pdf to read on your computer or tablet. Click on the book cover image to find out more, including where you can buy the e-book. “Quick Guide to Networking, Social Media and Social Capital” is a no-frills, no-jargon guide to using social media and physical networks, to benefit yourself and others. 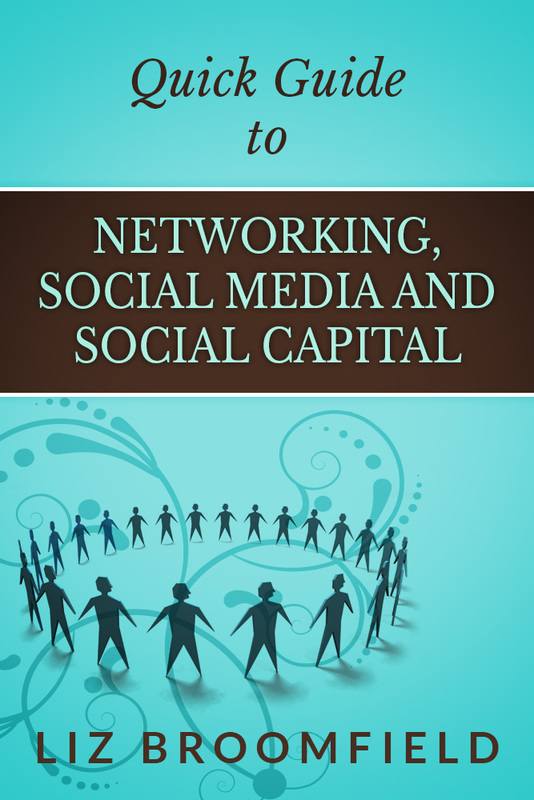 Short chapters on the basics of business networking and using Twitter, Facebook, LinkedIn etc. are connected with real-world uses and examples, so you can see the point of these activities, optimise your presence and reap the benefits. Click on the cover image to find out more, including where you can buy the e-book. “Quick Guide to your Career in Transcription” – a very popular quick guide to deciding whether a transcription career (or adding transcription services into your portfolio) is an option for you. It also covers choosing your software and hardware, and maintaining good posture to protect yourself from RSI, as well as some tips for working well and efficiently and even instructions to send your clients on recording techniques. Click on the cover image to find out more, including where you can buy the e-book. “How I Conquered High Cholesterol Through Diet and Exercise” – my first e-book and still one of the most popular, this takes you through what high cholesterol means, which foods make it worse and which might improve it, and places you might like to try eating, including tips for the UK and US. Built from my own experience, this offers an option for reducing cholesterol without drugs. Click on the cover image to find out more, including where you can buy the e-book. Read more about my books on careers (and cholesterol! ), at my new books website, which includes lots of news and reviews from happy readers. I’ll see you over there!